Ryan Brown is a serial entrepreneur who brings hands-on cannabis production and distribution experience to the leadership of the North Bud Company. Most recently he co-founded Tetra Bio-Pharma, a multi subsidiary publicly traded company (TSXV:TBP, OTCQB:TBPMF) engaged in the development of bio-pharmaceuticals and natural health products containing cannabis and other medicinal plant based elements. Previously, Ryan worked as a distributor of hydroponic gardening equipment and plant fertilizer in Canada and the United States, and successfully launched multiple identifiable industry brands. This experience provided firsthand perspective on techniques, trends and regulation of a variety of target market segments. His diverse experience and demonstrated knowledge has swiftly gained him a reputation as a leading expert in cannabis and a force within the industry. 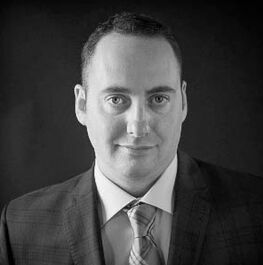 Brendan is a Chartered Professional Accountant (CPA, CA) and a Graduate of Queen's University (BAH Economics) and McGill University (Graduate Diploma in Public Accounting) He possesses over a decade years of experience as the corporate controller for multiple publicly traded companies. 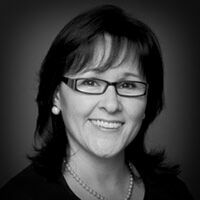 Ms. Aglukkaq was first elected to work for the Nunavummiut in the House of Commons in October 2008. On October 30th, 2008 she became the first Inuk to be sworn into the Federal Cabinet, as Canada's Minister of Health. In May 2011 after being re-elected for her second term, Ms. Aglukkaq was again sworn in as Canada's Minister of Health, this time with an additional portfolio, the Minister of the Canadian Northern Economic Development Agency. In August 2012, Ms. Aglukkaq was honoured to be named the new Chair of the Arctic Council and sworn in as the Minister of the Arctic Council for Canada. In July 2013, after almost five years as Minister of Health, Ms. Aglukkaq was sworn in as the Minster of the Environment. Prior to entering federal politics Ms. Aglukkaq served in the Nunavut Legislative Assembly as the MLA for the district of NATTILIK (communities of Gjoa Haven and Taloyoak).During her time as an MLA, Ms. Aglukkaq was elected by her peers to be part of the Executive Council. She was first given the responsibility of Finance Minister and House Leader, before becoming the Minister of Health and Social Services and the Minister for the Status of Women. Throughout her life, Ms. Aglukkaq has enjoyed an extensive career in government. Before entering politics, Ms. Aglukkaq served in numerous roles in both the Northwest Territories and Nunavut Governments, including as Deputy Clerk of the Legislative Assembly, Deputy Minister for Culture, Language, Elders and Youth, Deputy Minister for Human Resources, as an Assistant Deputy Minister for Human Resources and Executive and Intergovernmental Affairs and as the Superintendent for Education, Culture and Employment. Whether it has been during her time involved in the federal government, the territorial government, the Cambridge Bay municipal government, where she served for six years as a Councillor, her numerous hours spent volunteering in the communities, or during her time serving on different boards, such as the Arctic College Board of Governors, the Nunavut Impact Review Board or the NWT Science Institute; Ms. Aglukkaq has always fought hard for the interests of all Nunavummiut. Ms. Aglukkaq was raised in Thom Bay, Taloyoak and Gjoa Haven. Ms. Aglukkaq is married to Robbie MacNeil and has a son Cooper. Our team is led by industry veterans who have already executed successful exits in the cannabis space, supported by a roster of extremely talented, experienced professionals from software development, financial services, government leadership, food science and more. We all passionately believe that cannabinoids can be beneficial to people, and that the potential for this incredible natural substance is barely tapped. 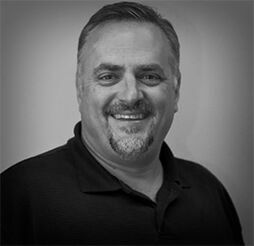 Michael Saxon is an accomplished consumer products executive with over 20 years of experience growing F150 businesses in the USA, Europe, and Asia. Michael’s career reflects a demonstrated history of setting record income and market share results in a wide range of market conditions. He brings a strong innovative mindset from his experience creating new products/brands, and he has been the catalyst for successful large-scale transformation initiatives to drive organic growth and executing M&A transactions to enter new markets. Michael is currently the CEO of SXN Strategy Partners a boutique consulting firm that works with Boards and the C-suite to create profitable growth strategies and execution plans. Before SXN, Michael had a distinguished career at both Philip Morris International and Altria Group where he was in General Management roles with full P&L responsibility for both a $800M and $3.5B business respectively. Michael graduated from the University of Georgia with a Bachelor in Business Administration with a major in Marketing. He is active in the community and focuses his time on causes for special needs children. Teresa DeLuca, MD, MBA, is a physician executive who creates and runs Fortune 50 businesses as well serving as an Independent Public Board Member on the Audit Committee and Chair of Compliace & Ethics Committee for [NASDAQ:SGRY]. Noted for trendsetting repositioning, she oversees strategic acquisitions and divestitures, leads P&L divisons, operations, clinical management and sales within all healthcare verticals. Her work is honored with Fortune’s Most Innovative Company award, and Fast Company’s Innovation List award. She is the Managing Director of the NY Life Science Venture Fund, a consortium including Columbia University and 11 other NYC public and private medical and research institutions. Previously she has been the Chief Medical Officer for Magellan, SVP at Humana, VP for Clinical Sales & National Medical Director at Walgreen Co. and VP, Personalized Medicine, Clincal Quality & Medical Policy at Medco. Prior to taking on these executive leadership roles, Teresa was Senior Director of Global Product Development Services at PRA International, and Senior Medical Scientist at GlaxoSmithKline. She created a first-to-market personalized medicine business that increased earnings per share resulting in a stock split within its first year. She handled P&L of $1.3 billion and guided a staff of 900+ employees for the nation’s 4th largest healthcare company, and was brought in by the CEO to lead the $525 million divestiture. Breaking into new markets, formulating business plans and strategy are all “hats” she have worn. She was Co-Founder & Co-Owner of a luxury consumer goods company that within the first year received reviews and awards published or presented by The New York Times, Oprah Magazine, Wall Street Journal, Vogue, New York Magazine and Access Hollywood. And after 18 months successfully exited the company, with a profit. A sought-after speaker who delivers presentations at symposia and conferences throughout the U.S. and internationally, Teresa is also quoted in national news publications and interviewed on network television including NBC’s Today. Teresa is a NACD Board Leadership Fellow – Master Level, has earned the Carnegie Mellon Cybersecurity certificate. and maintains current NYS Medical & DEA Licenses and is Buprenorphine Certified and NYS Medical Marijuana Prescriber. She was Chief Psychiatric Resident at Jefferson Medical College in Philadelphia and is currently Assistant Clinical professor of psychiatry at Mount Sinai Medical College in New York. She serves on the editorial board of American Health & Drug Benefit Journal, and writes commentary in peer reviewed professional and industry journals. Teresa is an elected member of the Committee of 200 and Women Corporate Directors. 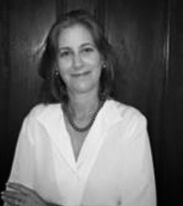 She has served on the boards of Visions Services for the Blind, ChopChop and Spoons Across America, as well as the advisory boards of the Springboard Life Science Council, American Red Cross (Greater NY Chapter), Women Business Leaders, and the Healthcare Business Association and the James Beard Foundation. André is a proven cannabis industry player as a Co-Founder of Tetra Bio-Pharma (TSXV:TBP, OTCQB:TBPMF). With over 25 years of experience in the financing of public companies, he provides strategic direction and oversight to guide company execution. Since 2003, he has served as Chairman & CEO of Everton Resources Inc.(TSXV:EVR), a publicly traded mining and exploration company. From 1989 to 1999, he was a Vice-President at BMO Nesbitt Burns, where he specialized in private portfolios. He holds a Bachelor of Commerce, with a Finance Major from the University of Ottawa, and is a Certified Investment Manager (CIM). Mr. Abboud has over 18 years of cannabis industry cultivation. His acute expertise and diverse genetic library has made him a highly sought after resource for large scale cannabis producers. Steve has experience working with multiple Licensed Producers and is connected to an International network of horticulturalists professionals.